I cannot even imagine presenting a job to a prospective client without the immeasurable aid of our custom design renderings. 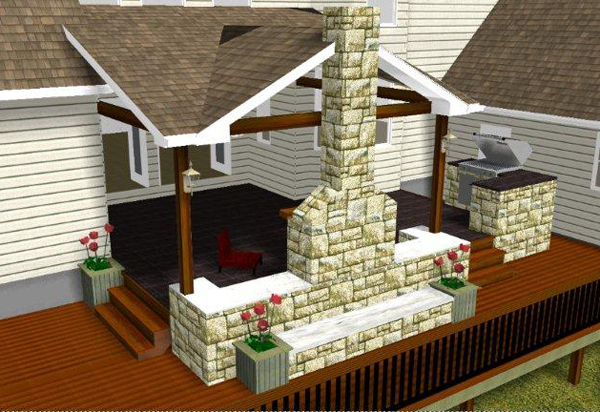 Through a custom designed rendering we can add in your furniture pieces, additional seating areas and even your grill. A properly composed rendering will show details and nuances not seen in a conventional one-dimensional drawing. Details such as elevation changes, and the direction of the swing on the doors. Presenting a three-dimensional design rendering to our client gives them an opportunity to see their design true to life. This true to life rendering also gives them the opportunity to make changes to areas and details they normally wouldn’t be aware of until after the structure was completed, this way we get a better idea of exactly what the customer themself envisions.Another postive detail is that all our renderings come with landscaping ideas to help the homeowner envision the truly finished project. “flow” and “harmony” once the furnishings are moved into the space. 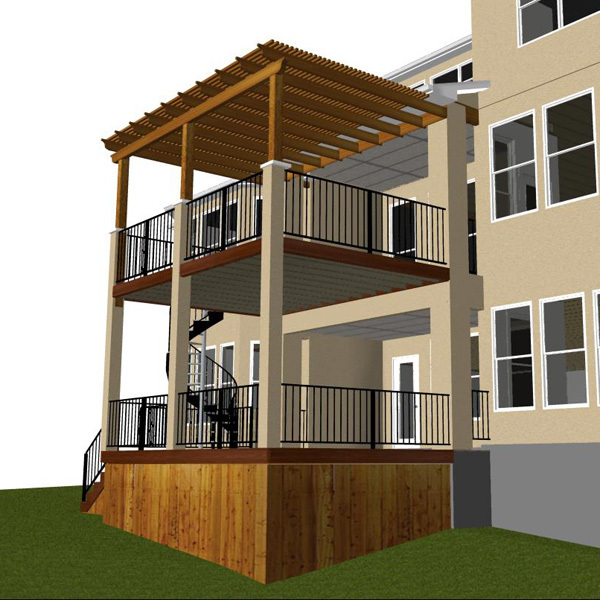 Showing the space through the design rendering will give you the opportunity to maybe make that covered porch a little larger to accommodate that large outdoor seating ensemble you have, or the to add more room for that prized gas grill and smoker. In essence the difference between a written description of what you are getting and a rendering is that more happens when a professional rendering is drawn to include emphasis and demonstration in true to life examples of how the details will be taken care of. 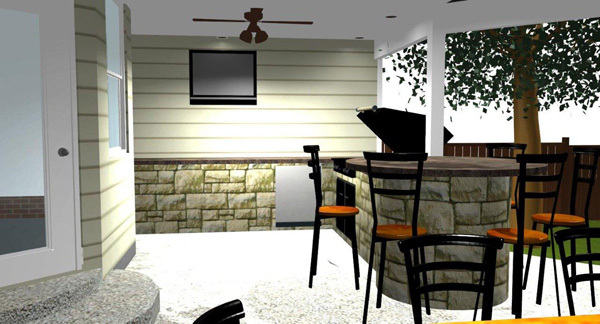 If you are considering adding an outdoor or indoor space to your life, give Archadeck of Austina call to get a realistic design rendering of your structure today.Call (512) 259-8282. This entry was posted on May 8, 2011 by austinporchandpatio. It was filed under Austin decks, Austin outdoor kitchen, Covered patio Austin, Customer service, Decks, Gazebo, Patios, Pergolas, Professional Design Rendering and was tagged with Archadeck of Austin, Austin covered patio, Austin covered patio deck, Austin deck builder, Austin decks, Austin outdoor room, Custom design rendering, Project planning.